Hi! 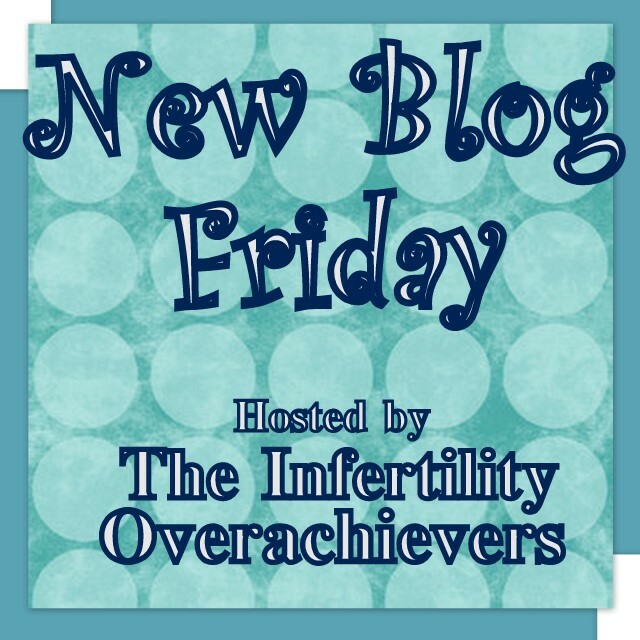 My name is Erin and I am so happy that I could take part in New Blog Friday here at Infertility Overachievers. I am a mother, army-wife, Soldier, OIF Veteran, blogger, daughter, sister, writer and friend. I am originally from New England, but spent part of my childhood moving around. I attended a small college in Vermont and participated in ROTC, where I met my husband. After graduation, I spent six years onactive duty, of which 39 months of that was spent overseas. My husband and I have been married four years and he is currently stationed at Fort Campbell, Kentucky. 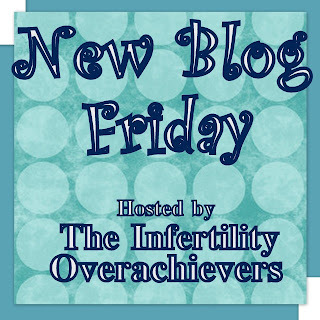 I started this blog back in April 2009 so I could keep my friends and family informed on our growing family. We welcomed our daughter, Reagan, into the world in September 2009. She is a bubbly, blue-eyed, deliciously chubby, beautifully bald, wonderful little girl. We also have two dogs that are a part of our family. Kaia is a four year old black lab, and Maggie is a who-knows-how-old mix. I adopted Maggie from the Army Veterinary Clinic while I was stationed in Seoul, Korea. We think that she is 10ish and possibly a Chihuahua-Rat Terrier mix. Go check out Erin Blog "Baby Love"